Just wanted to give another glimpse into our homeschool life. It’s a big part of who we are and what we do, so I guess it makes sense that we have many posts about it. Micah is working on the recognition of his numbers 0-20. He can count wonderfully, but he has had a harder time just knowing what the numbers look like. We try to keep it fun, so we spent a little time each day moving his animals to various numbers to practice recognition. It’s really fun to see so much improvement in such a short amount of time. Here are some extra pics of Micah homeschooling. Both boys are really excelling with their CC memory work. I wanted to post a picture of my whiteboard so that you would have an idea what CC is like. This is week 16 for CC and is all of the new grammar for the next week. I imagine you’ll see some videos of them singing songs that correlate with the sentences/facts you see listed here. These videos are from grammar from weeks prior. I was so proud of Ethan’s art project at CC today. We were talking about Monet and Impressionism. I explained what to do but was happily surprised to see how well Ethan grasped the concept. 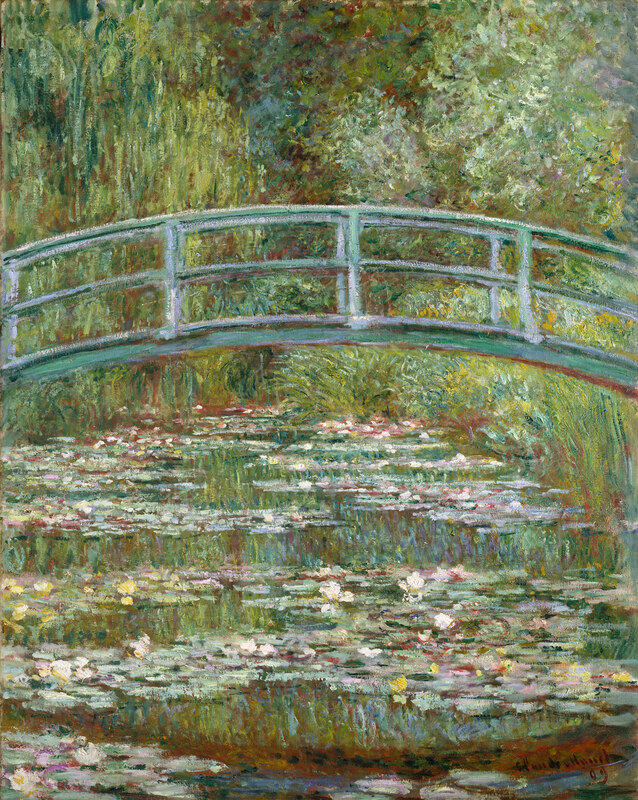 Check out his version of Monet’s Bridge over a Pond of Water Lilies. This entry was posted in Uncategorized and tagged art projects, classical conversations, Europe, homeschool, learning, throwback, video by jlcleve. Bookmark the permalink.